You can tell a lot about a man from his haircut. Therefore, finding the perfect men's barber shop for your appearance, style, and personality should be a priority for every modern man. 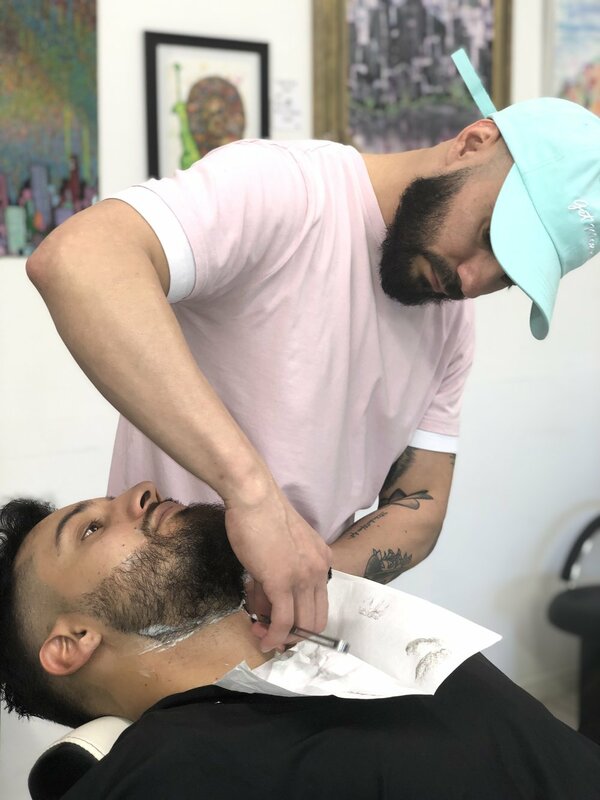 If you’re looking for a men's haircut in Salt Lake City region, Kraken barber shop is the perfect place to give you the perfect men’s haircut for life in 2019. Staying on trend is vital for any modern man, not least when it comes to his hair. Kraken Barbers can turn your unkempt mop into something truly spectacular. With fashionable cuts for all male hair types and trends, looking and feeling your best is easier than ever. 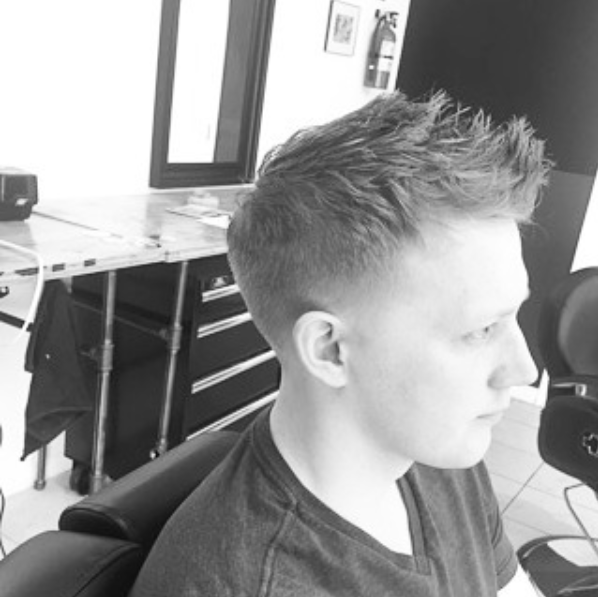 Whatever you’re looking for in a haircut, you’re in safe hands with Kraken Barbers. Kraken Barbers is highly respected for providing stylish men’s haircuts in Salt Lake City. However, we can provide washing, and blow drying services. This is in addition to beard trimming and eyebrow treatments. When you need your hairstyle to make a winning impression – for business, a date, or your self-confidence – our skilled technicians have the answer. Discover more about the possibilities by giving us a call today. Whether you have curly, wavy, straight or fine hair there is a fresh hairstyle for everyone. From modern haircuts for short hairstyles to clean styles for long hair, There’s a great mens hairstyle for everyone! Here are a few pictures of popular hairstyles for men before your next visit to the barbershop and be ready to love your new stylish mens haircut 2019. Remember which ever look you go for, Book your appointment for your men’s haircut today. Short haircuts is and always will be a top men’s hair trends. Crew cut is a classic hairstyle. The high fade cut on the sides and line up along the hairline makes this a more modern haircut. The textured top with a fade on the sides. The natural styling of the short hair really makes this hairstyle look good. The Pomp is a another example of a classic gone modern. This works better for thicker hair. what gives this a modern look is the high fade on the sides. This look will always look good whether you are at work or going out at night with friends. This hairstyle is definitely catch some looks. Finish it with a hard part to give it that extra touch. This is the most popular hairstyle in the last few years. It’s a classic cut this hairstyle looks great on just about anyone. combine this with a low taper fade on the sides and back. It’ll make it a perfect business professional haircut and a casual style. This is a new look that is starting to get some attention, and that you will. With a tight fade on the sides. This is like a Pompadour but instead of every hair strand perfectly combed. you break it but running your fingers through the long top hair. giving it some texture. We book up quick, make your appointment online for your next men’s hairstyle. Make your next Mens haircut the best we are near [me] you. Are you tired to those franchise men's haircut businesses? or tired of waiting 2hrs for a men’s haircut style? even with an appointment? Stop driving downtown for an ok hair style. We are Kraken Barber shop, we have been in operation since 2014. We are located in Midvale, Utah. And we love what we do. We are centrally located within the Salt lake Valley. No matter where you live you can get to us from any part of the valley within 15 mins. Whether you have thin hair, curly hair, or just thick hair. You will still need a fresh looking men’s hairstyle. Your mens haircut is a fashion statement. It is what makes your your day and lifts your confidence. so why keep getting haircut styles that don’t do you justice?! We deliver the best men's haircuts near [me] you. We are Utah's highest rated barbershop. Why keep getting haircuts from ok places. We'll give you the hairstyle that you are looking for. Whether it is a men’s short hairstyle like a fade or long hairstyle like pompadours. We can get it done in a timely manner. You will not sit in our chairs longer than you need too. Aside from haircuts we also provide mens' hot towel shaves, Beard clean ups and waxing of the eyebrows, nose and ears. Stop driving downtown salt lake city for a mediocre hairstyles.And give Kraken Barber Shop a try. Book Your appointment now, we do fill up fast. most barbers here have same day availability. Men’s haircut near me.